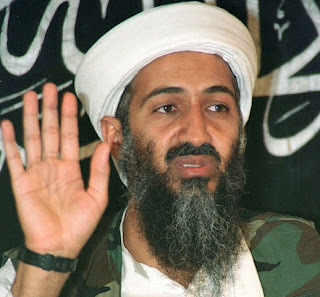 Before leaving for a vacation in South Africa in December of 2001, my editor asked me to prepare an obituary for Osama bin Laden for TIME.com on the assumption that he might well be killed in Afghanistan while I was on the beach in Cape Town. Almost ten years later there was finally a reason to call up the old file: President Barack Obama said late Sunday that the al-Qaeda leader had been killed in a U.S. raid in the Pakistani town of Abbottabad, and that the U.S. was in possession of his body. But where killing or capturing Bin Laden might once have been imagined to be a decisive turning point in a struggle between the U.S. and its challengers in the Muslim world, today, the death of America's erstwhile nemesis is little more than an historical footnote -- a settling of accounts for a spree of ugly crimes and the elimination of a symbol of global jihadist nihilism, perhaps, offering justice and closure for the victims of 9/11 and other atrocities. But it does little to alter the challenges facing the U.S. and its allies in Afghanistan, Iraq, Egypt, Iran, Pakistan or any other major country in the Muslim world. That's because much to his chagrin, Bin Laden and his movement have achieved only marginal relevance to power struggles throughout the Muslim world. The strategy of spectacular acts of a terror had briefly allowed a band of a few hundred desperadoes to dominate America's headlines and its nightmares, but on the ground in the Muslim world al-Qaeda had largely been a sideshow, failing miserably in its goal of rallying the Islamic world behind its banners and finding itself eclipsed by such despised rivals in the battle for Islamist leadership as Iran, Hizballah, Hamas and the Muslim Brotherhood. We can say with relative certainty that Osama bin Laden is not right now enjoying the attentions of 70 virgins in paradise. But with the same certainty we can predict that he will live on, years and even decades from now, on the T-shirts, key-chains and calendars of the Muslim world's malcontents. Indeed, in the rarefied climes of rebel icons, Bin Laden has become the Islamist Che Guevara. It was long before September 11 that Osama bin Laden first chose to die. Authoring the most dramatic terror attack in history had simply compressed the timeframe of the inevitable ‘martyrdom' he first envisaged two decades earlier in the same mountains of southeastern Afghanistan where a simple TKTKTK ended his life on TKTK. The video spectacle of bin Laden cackling ghoulishly over the number of innocents his human bombs had killed in the World Trade Center will underscore the grim satisfaction in the West and among its allies in the east, near and far, at the Saudi terrorist's ignominious end. But the story of Bin Laden's rise is a cautionary tale of perils that persist despite the elimination of a man who had, of late, come to personify them. Bin Laden's decision to sacrifice his life in service of an implacable pan-Islamic nationalism would likely have been taken two decades earlier, when the pious young Saudi multimillionaire first ventured into Afghanistan. The somewhat naïve but highly motivated bin Laden found himself in the orbit of hardened Islamist zealots from all over the world, his own views growing increasingly hard-line as he found himself assiduously courted particularly by the Egyptian radicals who saw his potential as a global terrorist leader in his wealth, his connections with Arab elites and his charisma. For bin Laden and those around him, the message of the Soviet retreat was simple: armed with unshakable faith that they are soldiers of god and a willingness to die fighting, jihadists could prevail over ‘infidels.' The “Afghan Arabs” were not men who could easily return their own countries — Egypt, Saudi Arabia and other pro-Western Arab regimes had used the Afghan jihad as an opportunity to “export” their domestic Islamist nuisances, and weren't about to allow them back as combat-hardened warriors to renew their seditious efforts. Bin Laden shared their predicament. Afghanistan had hardened his opposition to the Saudi royal family, which failed to measure up to his measure of Islamic legitimacy. And when the king invited U.S. troops onto Saudi soil to defend the kingdom against any threat from Iraq, Bin Laden was outraged — a new set of infidels were being invited onto the sacred ground of Islam's birthplace. Bin Laden was now on a collision course with the House of Saud, and despite his family's deep-rooted ties to the royal family, he found himself expelled. For Bin Laden, that was simply confirmation of the analysis he'd developed in Afghanistan: The undemocratic, un-Islamic regimes of the Arab world were but servants of the United States, whose presence and influence in the Arab and Muslim world was the prime obstacle to his dream of a pan-Islamic political revival. At bases in Afghanistan, and in the Sudan where an Islamist regime made room for him after his expulsion by the Saudis, bin Laden kept his Afghan Arabs together in his al-Qaeda organization. They were sent to fight in Chechnya, Bosnia and other places Muslims were under fire or waging separatist battles, spreading their example of selfless sacrifice to spread the tentacles of a global network whose ultimate confrontation would pit it against its supreme ‘infidel' enemy, the United States. Bin Laden believed America could be beaten. His objective, after all, was not to conquer the U.S. but rather to end its presence and pervasive influence in the lands of Islam. Exhibit A was the U.S. withdrawal from Beirut in 1985, after Hizbollah blew up a Marine barracks there killing more than 200 U.S. troops. The bloody carnage of Mogadishu in 1993, in which 17 U.S. soldiers were killed in an abortive raid on a local warlord, also led to a hasty retreat -- today U.S. officials believe operatives linked with bin Laden helped train the Somali gunmen who ambushed the Americans. And in his propaganda, bin Laden certainly claimed the incident as further proof of his basic thesis — that the U.S. would withdraw from Muslim countries if the cost of staying was rendered too high. Bin Laden and the Egyptian Islamic Jihad leaders at the helm of his movement had global ambitions quite unlike any terrorist organization that had gone before them. Previous terrorist luminaries such as the Palestinian Abu Nidal had generally led organizations drawn from a single country, and had been entirely dependent on state sponsors for sanctuary and survival — states such as Libya, Syria and Iran had all used such groups to send bloody political messages to their foes. Al Qaeda was different: its members were drawn from all over the Muslim world, their core cemented during the Afghan jihad; and they operated entirely independently of any state sponsorship. Indeed, far from such authoritarian precincts as Tripoli, Tehran and Damascus, al Qaeda preferred to establish its bases in locales where state authority had all but collapsed — Sudan, Somalia and Afghanistan. And rather than slowly grow their organization from the ground up, bin Laden and his henchmen saw mergers-and-acquisitions as the way to go. The model, unconsciously, may have been the Communist International — Lenin in 1921 had managed to reproduce his Bolshevik party on a global scale by simply absorbing preexisting, ideologically compatible leftist parties from almost every country into a global umbrella organization. It was not Bin Laden's own actions, but the U.S. response to them, that had put him on the map, back in 1998. And that process was to be amplified in the years to come. Well, yes, but only briefly. The U.S. invasions of Afghanistan and then Iraq put it in conflict with nationalist insurgencies in which al-Qaeda had a limited, if any role. By the middle of the past decade, already, the U.S. was talking of its prime adversary in the region as being an "Axis of Resistance" led by Iran and comprising Syria and non-state but nonetheless popular nationalist actors such as Hizballah in Lebanon and Hamas in the Palestinian territories. And that "resistance" front had little time for al-Qaeda, while Bin Laden's spokesmen reserved some of their most venomous rhetoric for Iran, Hizballah and Hamas. No decent people will grieve at Bin Laden's passing. But nor will his elimination alter the challenges facing Washington in an Arab world that has found its own ways -- quite different from Bin Laden's -- for challenging the writ of the U.S. and its allies in the Muslim world. Bin Laden may have desperately sought the mantle of champion of Muslim resistance to the West, and a traumatized American media culture may have briefly granted him that role in the months that followed the horror of 9/11, but where it mattered most, among his own people, Bin Laden was an epic failure. Bin Laden's problem from the very beginning was that while (polls show) a majority of Muslims around the world might have agreed with his charge of U.S. malfeasance in its dealings in the Middle East, only a tiny minority identified with terrorism as a response. Despite the virulently anti-American attitudes revealed in opinion surveys in parts of the Muslim world after 9/11, very few people were prepared to condone attacks on innocent civilians. That's why so many people in Egypt and Pakistan bought into conspiracy theories about the CIA or Israel's Mossad being behind the attacks. The ubiquity of bin Laden's image in the wake of the attacks suggested that he might become a kind of jihadist Che Guevara, destined to live on long after his death on an endless stream of T-shirts and tchotchkes. (Of course, he'd first have to be killed to test that theory.) But there's another connection: Like the Saudi jihadist, the Argentinian revolutionary had mistakenly assumed that simply demonstrating through violence that a hated enemy was not invulnerable would automatically rouse the masses to rebellion. While the 9/11 attacks made bin Laden the focus of American fear and rage, his "global jihad" failed to either eclipse or enlist its more localized Islamist rivals. Hamas confined itself to striking Israeli targets, and to competing with Fatah for local political power at the ballot box and on the streets; Hizballah continued to lock horns with Israel on its northern border and to engage in the complexities of Lebanese politics; Iran actually helped the initial U.S. military campaign in Afghanistan, although it soon resumed its struggle with Washington and its allies for influence throughout the Middle East. Al-Qaeda may still figure in U.S. debate, but it no longer garners any attention in the Arab political conversation — prompting it to issue increasingly hysterical denunciations of Hamas, Hizballah and Iran. A similar fate almost certainly awaits the movement in Afghanistan, where its erstwhile Taliban ally is fighting a nationalist campaign against foreign armies, which will inevitably end in a power-sharing political settlement. And even Taliban leaders have indicated they won't allow their territory to be used as a base to export terrorism. If anything, hostility towards the U.S. in the Muslim world has actually escalated over the past nine years, because of the wars in Afghanistan and Iraq and Israel's conflicts with its neighbors. But al-Qaeda, ironically, remains on the margins. It's not inconceivable that bin Laden's men will get lucky again at some point in the future, but not even another major terror strike would change the basic calculus of al-Qaeda's demise.